The territory of Portugal includes an area in the Iberian Peninsula and the archipelagos of Madeira and the Azores in the Atlantic Ocean. This is the LIPDUB made after our school being rebuilt. 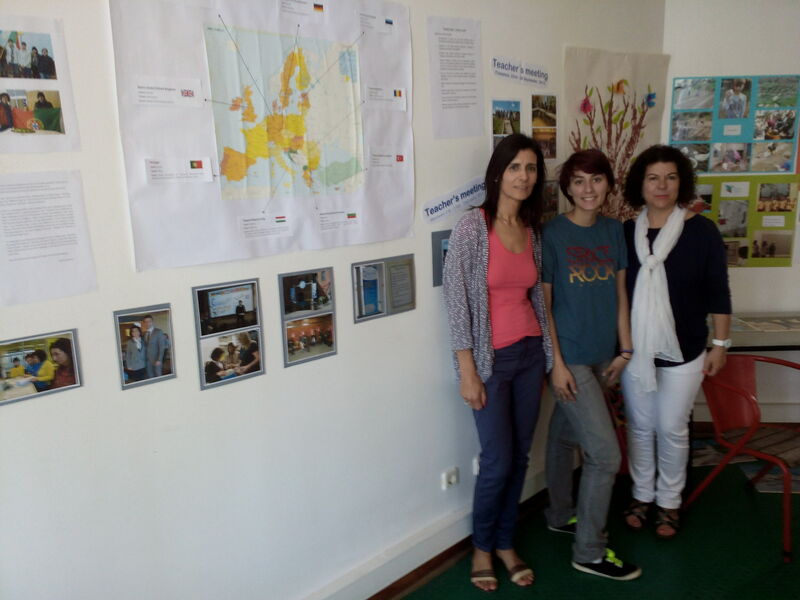 These are the reports by the Portuguese students who went to Razlog. When we arrived at Bulgaria we were very well welcomed! They went to pick us at the airport and introduced themselves to us. 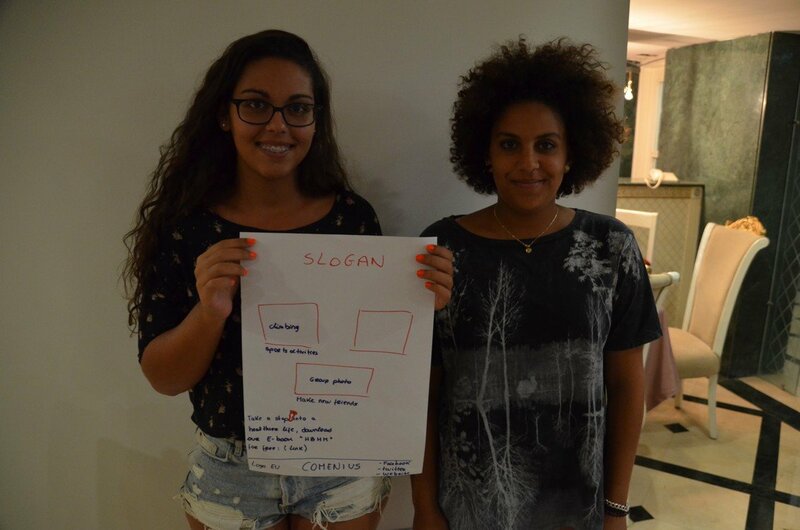 We did some projects during the week and we got to know each other. It was cold, but it was bearable. Unfortunately, it didn’t snow… The food was very different and we had lunch and dinner almost always on the same restaurant, which was very nice and cozy. It was an amazing week! It was probably the most amazing week I had ever experienced. It was very good to me. I learned new vocabulary in other languages such as in Romanian, German and Bulgarian and I was able to practice my English! I made a lot of friends from all over Europe. The bad and hardest part, for me, was the farewell. I cried a lot the whole time, I just couldn’t stop. It was very difficult for me leaving my new friends. But they were doing everything to cheer me up. We played guitar and sang together, we were hugging everyone… Despite the sadness, it was the best night ever! I’m really glad I went because it changed my life, in a good way. I learned a lot about the different countries and their cultures, especially about the school system. I speak to my new friends on Skype and on Facebook every night and we have a lot of fun, although I miss them all and they feel the same way. We can’t wait to meet again and I hope it will actually happen! Traveling, meeting new cultures and simply spending time out of my comfort zone is always something I’m eager for. 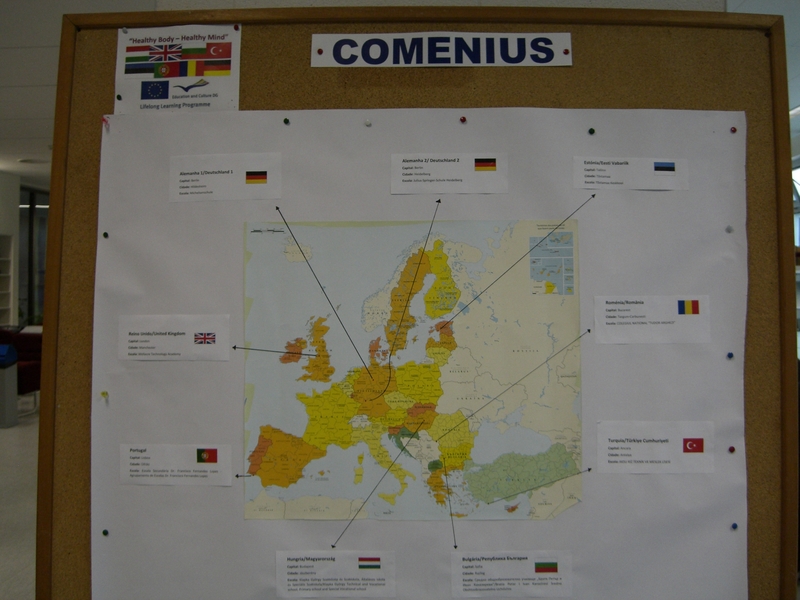 Needless to say, when I was invited to Project Comenius, to go to Bulgaria for six days, I didn’t think twice. My expectations were simple: to meet a completely new place, to see all kinds of things and, of course, to develop some work on the theme “Healthy Body –Healthy Mind”. It didn’t only meet my expectations, as it exceeded them greatly. 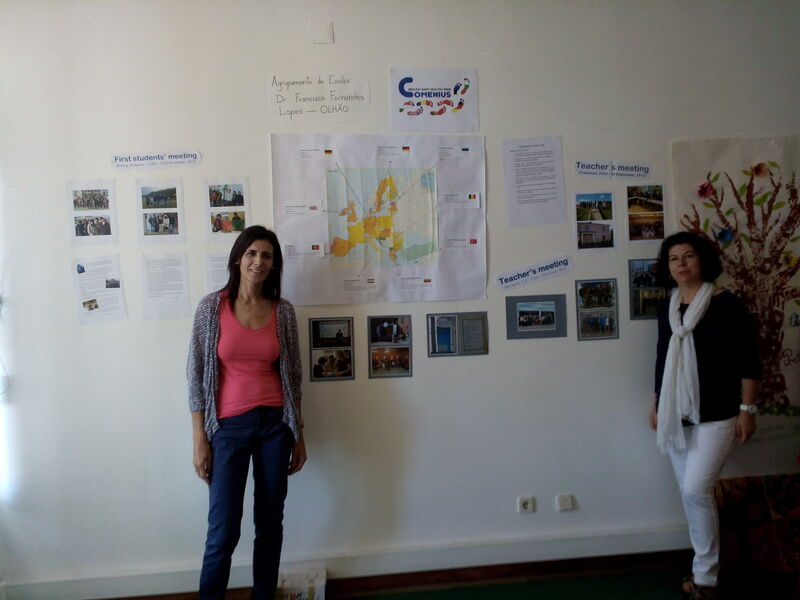 The Comenius Project activities in Razlog, Bulgaria, didn’t just make us acknowledge a new country as EU citizens and as students; it made us actually experience, talk, feel organically as a new culture develops and lives. We were inserted in a new place, with people from several other places – sharing about ourselves, expanding our way to see the world, and it made us think about subjects we don’t usually give that much of a chance. In short, it made us better people, who know what’s outside there, who respect others, who know more. And it allowed me to meet some of the best people ever. From the people who gave their hearts to the project, to those who guided us around, showed us and told us everything we wanted to know, to those whose friendship, pleasantness, enthusiasm and shine made these six days one of the best experiences in my life. I’ve learned, laughed and lived more than I would’ve ever even imagined. It still aches I’m not there anymore. When I first found out that I was going to Bulgaria to participate in a meeting of our Comenius project Healthy Body Healthy Mind I was thrilled. I immediately knew that it would be an unforgettable experience. That week was amazing. Not only did I get to meet a lot of interesting people and make a lot of friends, but I also learned a lot about other cultures, like the Turkish culture for example. 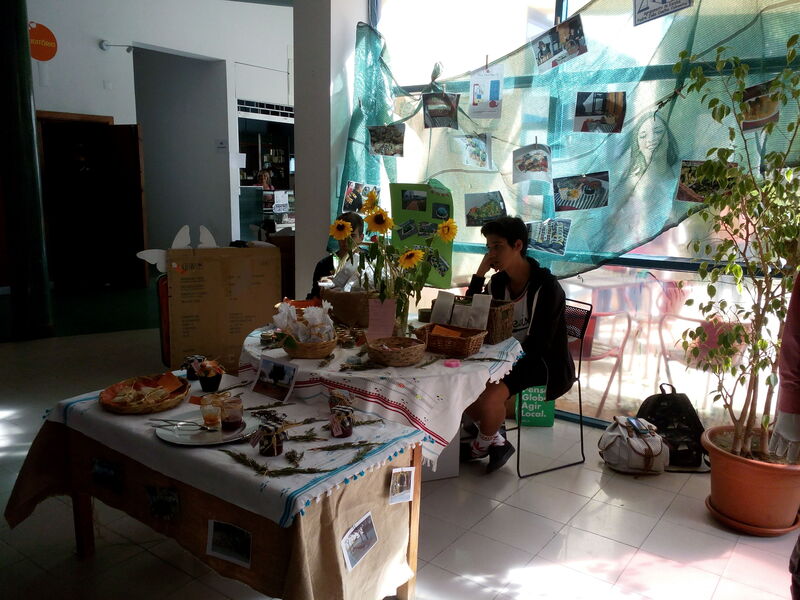 We had to make a scene, with the theme of “at table habits”, and that was when I learned the most. The British have tea very often; in Estonia, on Christmas day they eat 7 times, for good luck; and there were many other things that I learned. Speaking of food, we usually ate at the same restaurant every time. 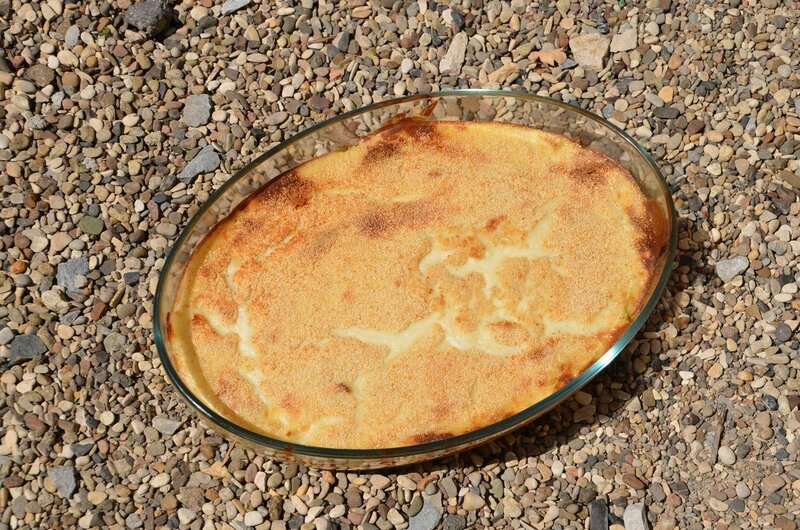 Bulgaria’s typical food is quite salty, but I actually enjoyed it, and had some great meals. During the time we spent in Bulgaria, I had the chance to visit some beautiful places, such as Bansko, Rila Monastery and Sofia. Razlog was quite nice itself, it wasn’t as cold as I expected, because there wasn’t any wind at all, and the hotel where we stayed in was a very comfy place. Very warm bedrooms, good breakfast, so I’m happy to have stayed there. I actually spent my birthday there, and the teachers and the other students surprised me with a birthday cake and a basketball, because they knew my favourite sport is basketball. My favourite day of all was the day when we went to the four star hotel’s swimming pool. It was very warm, and the two hours we spent there were very relaxing. The thing I enjoyed the most was that all the students were all together all the time, and I believe that’s the spirit of a project like this, we weren’t different groups from different countries, we were one group bound together by friendship, mutual respect and understanding. All in all, it was indeed a great week, I enjoyed it very much, and I will keep it in my heart and mind for the rest of my life. I truly hope I have the chance to meet everyone again, and spend another great week of my life thanks to Comenius. When the teacher asked me to write a text about our school trip to Germany I promised myself that I wouldn’t lie, so now I’m promising, I won’t lie… It was difficult to take in the idea of sleeping in the house of a stranger for a week, or the idea of being among so many strangers of my age trying to communicate using the only language that connects us all, the English language. I won’t lie and say that I wasn’t afraid of them, because I was and let’s be real, teenagers can be mean sometimes. But in the end of the day, what I was afraid the most was the host family. I didn’t know them, at all. What if they were crazy people? I wouldn’t be able to come back home, to the place where I know I’m safe. But, on the other hand I wanted this so badly that all I could do was to let what scared me behind, leave all of my fears in Portugal. From the moment I stepped into the plane I knew it could go either way. I could totally hate the experience or I could just fell in love with it. I gambled it and do you want to know what? I couldn’t be luckier. In 17 years I had never felt so much joy. I felt it, my colleges felt it too and there was so much joy in the air that you could breathe it. Yes, yes, we really had to go to bed around 09.30/10.00 pm so that we could be up at 6 o’clock in the morning to go to school, but even those parts of the day where Fun. Do you know when people say that the best way to learn how to speak English is spending 1 month in England? 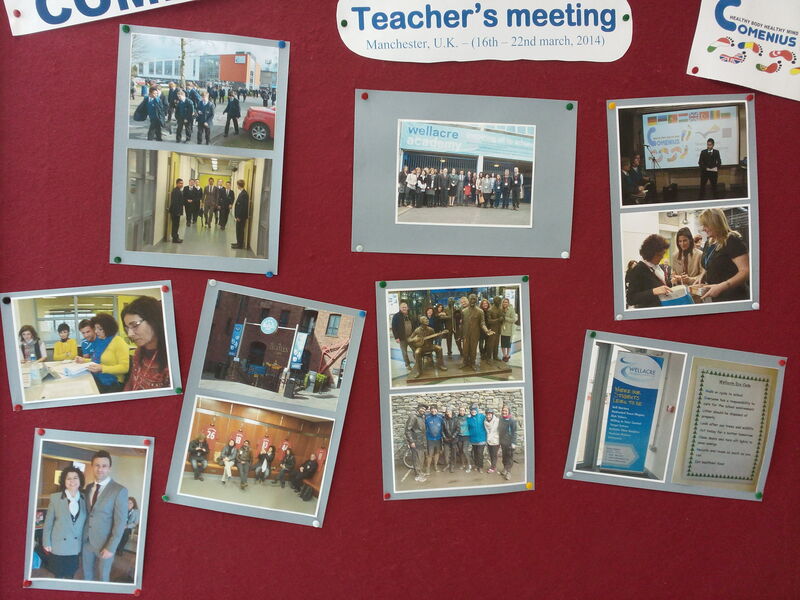 Well, I’m not saying that that is not true, but I promise you… There is nothing like project Comenius! I was scared that I wouldn’t be able to communicate with any of them because of the language bound. I thought they could speak English as well as a native speaker, I thought that they would judge us or laugh at us and that is why it was such an amazing and recommendable experience. Turns out that they were just like me and you, simple people trying to communicate using only the English language (Ok, I said no lies. Sometimes we used Sign Language, sorry teacher.) And for all of those skeptical people out there, we DID learn a lot from each other. There was no judgment, no laughs in what concerns the way we spoke, and everyone understood each other, so in the end I think it’s safe to say that the goal has been completed and successfully achieved. It was only when we were completely sure that we were going to Germany that our teacher gave us our hosts’ Facebook pages. We immediately ran to the internet to try and establish a bound with our host. My host’s name is Lea and I couldn’t be happier with her. We are still connected and we often talk to each other. The best part, I’ve created so many friendships that I will cherish forever. I’m so thankful to my teacher for giving me this amazing opportunity, I’ll always remember every moment well spent in the trip and those who lived this adventure with me. My best advice… If you have the opportunity, don’t say no just because you are scared, just go… Don’t think too much, because believe me, you will Never forget it. I have No regrets. 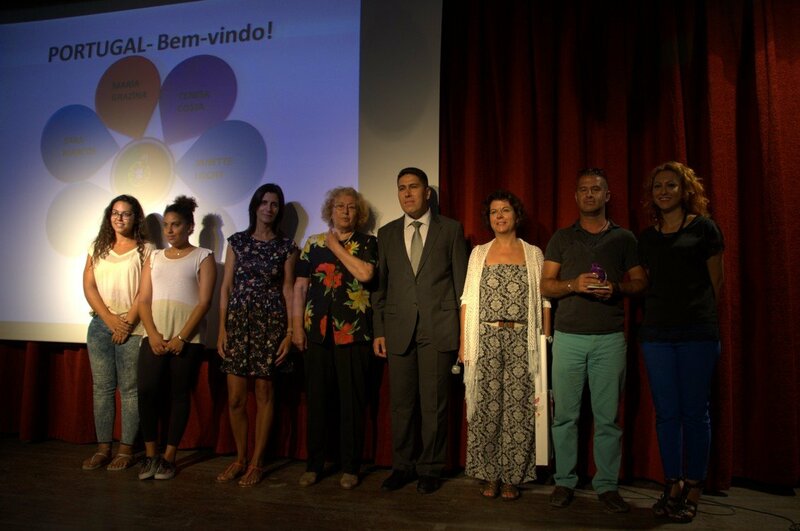 To all of my teachers Manuela Grazina, Teresa Costa and Paula Tavares ‘Muito Obrigada’, ‘Danke’ Thank you so much! There are a lot of good memories that come to my mind when I think about that wonderful trip to Hildesheim. Everyone was very nice and gentle, always in a good mood. My host family made me feel like home and I really couldn’t ask for more. The activities, the laughs, the new friendships, new cultures…all of that made this an amazing and unforgettable experience and I think every student should have the opportunity to try this at least once in a lifetime, because I truly came home with a heart full of love and amazing stories to share. Now, a few months later, the longing starts to hit me. I can still hear the laughing in the hall every morning, when everyone was telling everything that had happened since they left with each other’s hosts. I can still hear teacher Marcus’s voice, telling us what would be the plan for the day or even asking me to carry boxes full of bottles of water. Every time I eat Nutella it reminds me of Daniel and his parents. I can still remember the sympathy of the ladies from the cafeteria! I can still smell the scent from the farm we went to, that awful scent. But I can still smell and taste the pork we ate at the barbecue, I even remember Miss Paula Tavares telling us that, well, it doesn’t matter! I can still feel on my fingers the touch screens in the Volkswagen factory we visited. I can still hear all my friends laughing together, on the train, the plane, everywhere! I know why I remember all this, because I was a member of the Comenius Project, and it gives the students an opportunity they never had, to travel, to meet new people, discover different places and countries and all I can do is to thank Miss Ermelinda Reis for the trust, Manuela Grazina, Teresa Costa and Paula Tavares for taking me with them and everyone else that made the Comenius Project what it is! 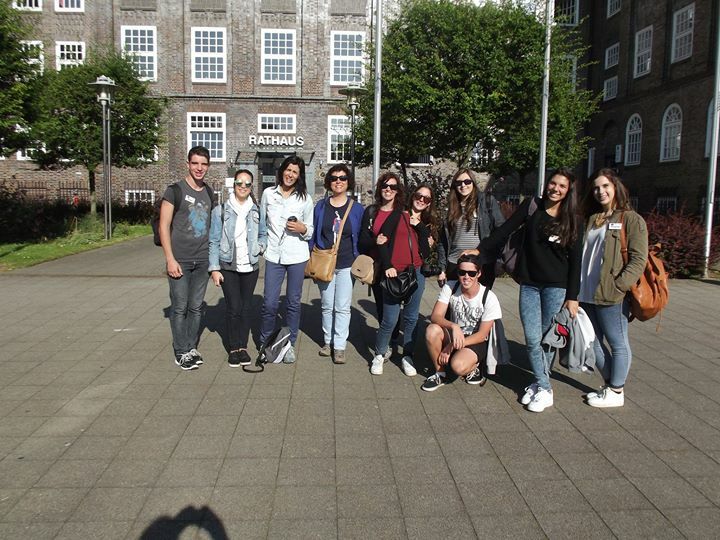 Being a part of the Comenius project was one of the best experiences of my life. All the friends I made not only foreign friends but Portuguese as well. Friends who made an 8 hour wait on the airport feel like 5 minutes. I miss all of it, miss those snacks that my host family would give, miss the sharing of those snacks. The sausages I offered Miguel, the carrots that Miss Manuela Grazina liked so much. I terribly miss the activities, the hiking, the sports group, I even miss the English sports teacher saying “don’t fall asleep Portugal, I’m watching you!”. The most amazing pork on the most amazing barbecue, which managed to make up for the farm that we visited previously, that awful farm with that awful smell. I wish I could have this again, I wish I had my Carolina always ready to give me her shoulder everywhere we went (more precisely on the airport, the airplane, the school, the bus, the train, the streets if necessary, yes we slept a lot) so I could lay my head and sleep. Special thanks for those five minutes a day when Francisco actually managed to be quiet and even more special thanks for the hours we wouldn’t shut up, and the constant laughs. And most of all, my host, even though you don’t expect to you end up bonding with your host, and you gain a brother for a week. Lena gave me all the comfort and the friendship I needed, and I could not be more grateful for that. Even though she tried to show me her favorite movie 6 times but I fell asleep every time…. 9 Portuguese student have been given the opportunity of having a lifetime experience, getting to know a new country, new friends. 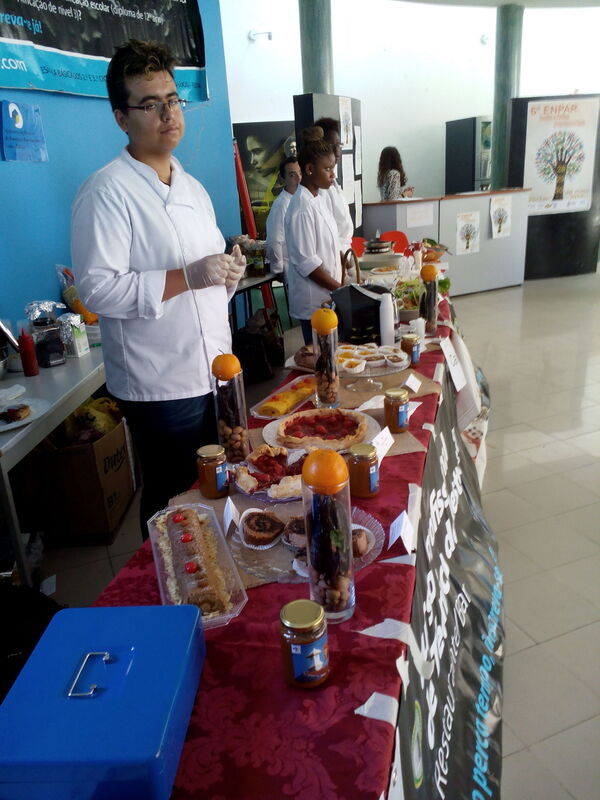 And I had the privilege of being one of those students, for that I thank my teacher Miss Paula Tavares, for allowing me to be a part of all that and to the other supervising teachers, Miss Manuela Grazina and Teresa Costa. First of all, I must admit that I was a little nervous and anxious about the trip because, obviously, it´s a totally new country , with a different culture and traditions , but as the big day was approaching I realise that this jorney could be not just a trip to Germany but also a life experience that I would never forget. And I was right , I met new people who were very nice and I really felt like I was at home ( something I thought that was impossible). I already knew that I love English but when we are in a totally new country where people don´t understand your language and the only way to communicate is through English, I realise how important this language is. This project gave me the opportunity to live among a different culture and I had the chance not only to improve my English but also to interact with people who share the same love for English as I do . So, if you ask me if I want to repeat this experience I would say “Yes, I do”, without thinking twice. Last November, I and three more colleagues were part of the Portuguese team that went to the Comenius meeting in Razlog, Bulgaria. As such, although I knew I would still be helping in the project activities in a near future, I never thought I would be invited to the second meeting, this time in Hildesheim, Germany. The first time I was talked about this new meeting, my eagerness was being clouded by some apprehension; for starters, it would be the first time I would stay at a host family. Then, our team was bigger than last time. And I didn’t even know how we, second-time travelers from different countries, would react to being reunited again. It was merely unfounded fear. Those five days in Germany were unlike anything I have ever experienced. Life in Hildesheim is very, very different from what I was used to – the weather is way colder, the chocolate is way cheaper, and places are really far away from each other. However, the fact that we could experience by living with locals only enhanced the immersion, and my host family was so nice and welcoming that I almost didn’t feel the culture clash. I only have to thank Nina and her family for their hospitality – and may we meet again someday. Besides, I had a great time both reuniting with old friends and meeting the new members of the various teams. The Comenius groups keep on having the sense of friendship, camaraderie, learning and amusement that characterizes the project itself and it’s always possible to discover new things, talk about new subjects and meet new points of view with them. It was refreshing before, and it gladly didn’t change. It was a great week, an immensely different experience, and a new story to recall and share. Since I’m going to college and I probably won’t be travelling with the project anymore, I’d only like to leave a last memo to the participants: seize it. Make the best of these meetings, work hard, have tons of fun, laugh and cry and talk until you can’t even remember your mother tongue. Because these are once-in-a-lifetime experiences that will change you, if you let them. Thanks for the adventure! Now go have a new one! 29th June of 2014, a date I’ll never forget. I wish I could go back to this day and live the trip to Germany all over again! That week left me speechless. Now, two months later, I can’t shut up about it. Everything was absolutely wonderful. I miss waking up with Anne’s voice, having breakfast together and getting on the bus to school, meeting my friends there and hearing all about what they had done the night before. Every day was a new and exciting adventure. From climbing the “Harz” of Germany, to visiting the Volkswagen factory, going shopping or even cooking… what I loved the most was the chance to have done all those things with so many wonderful and different people and, also, the friendships I gained. I am so thankful for being a part of this project and having the opportunity to travel, get to know so many different cultures and meet so many amazing people with whom I got to share some of the best moments, which are now memories, of my life! On Saturday 27th we departed from Lisbon to Istanbul and we arrived later that day at Antalya where we were already being expected by the Turkish team. We went to the hotel and unpacked right away. The next day we went to the hotel’s beach and we realized that the Portuguese team was the only one that didn’t have any friends at the meeting, but it didn’t last that long… The British team was the first one to approach us and they were very nice to us during all week. That day was the day that all teams started to arrive and we started to get along with everyone. We met really amazing people and we’ve made some really good friends, especially with the Bulgarian and the German team. The city of Antalya is beautiful and one of the things that I loved the most was the city’s downtown. There we were able to see their amazing culture, their markets, their restaurants and the nice people that live there. We had a trip in a pirate boat along the Turkish shore, we visited monuments, we went to a water park and to the beach, we did paintball and we did sports every day… It was a great week! The Turkish team was absolutely amazing on the organisation of this week and they were also very welcoming, they even showed us their typical Turkish wedding in our last evening; that was not planed at first but they made it happen just because the Portuguese team asked for henna tattoos, which they do at weddings. They were amazing and I have to really thank them for all they did for us to have a great week and a great time together. I would like to go on a Comenius trip again but now it’s our turn to receive them and provide them a week they will never forget! I wish this was not my last year in high school so that I could have another opportunity like this… I hope our school remains part of this project because I think it’s one of the best ways to promote a healthy body and a healthy mind to all our students and teachers! Thank you so much to the two teachers Manuela Grazina and Teresa Costa for the opportunity and for one of the best experiences of my life. 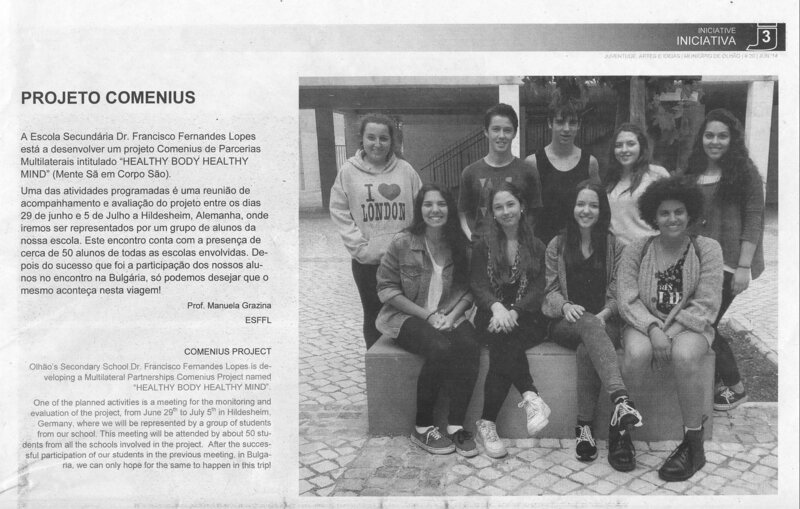 I’m very glad to be part of the Comenius group. Before I start reporting this week that I spent in Turkey, I have to say that it was a great time. So, we arrived there at the hotel at 1a.m. on the 21st of September and we spent that whole day relaxing at the beach and in the pool because nothing was planned and there were still students from other countries missing. The day after, we had to get up early for the opening ceremony which happened in a secondary school. After that we went to another school but that one was specialized in agriculture and here we watched a group of students who were all traditionally dressed up and gave a little dance show. Later, we went to the beach and that was really nice, the water was warm and we played volleyball with the other students. On Tuesday we went to see some ancient cities and that took most time of the day. We already got along very well with the other students, so it was real fun. The next days we also had lots of fun moments such as going to ”Aqualand” and we were on a pirate-like boat and then we stopped somewhere in the Mediterranean Ocean and we jumped into the water. 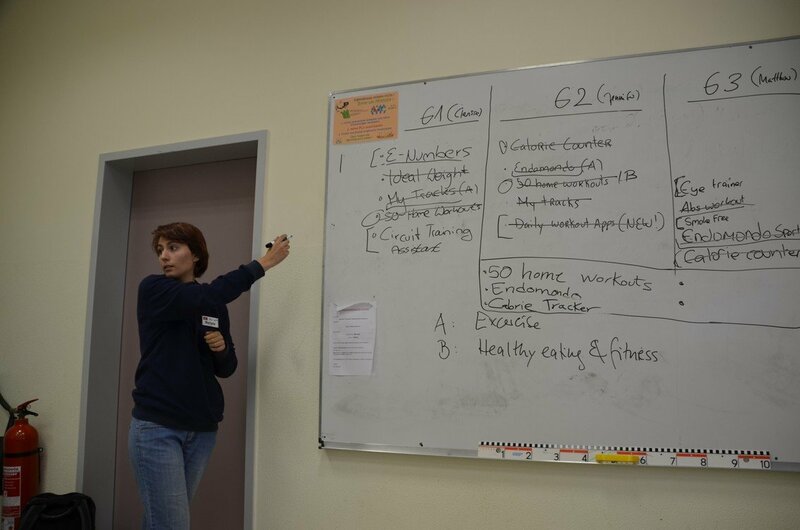 And the trip wasn’t just fun, we also had to work on methods to advertise the Comenius book ”Healthy Body Healthy Mind”. And we went to the university, twice, to play volleyball, and do some other activities such as climbing. On the last two days we went to the bazaar and that was exhausting because we had to negotiate the prices with the salesmen. On the last day something very funny happened. There was a misunderstanding because on the first day I mentioned that I would like to get henna tattoos, and the Turkish headmaster, Mustafa, arranged a ”fake henna night” which happens the night before every Turkish wedding. So they dressed me up (I would be the ”fake bride”) and then the ceremony started, there was Turkish music and they lit up some candles and then I had to sit in a chair next to my ”fake groom”. After sitting down, one of the Turkish girls placed a henna ball and a coin on my palm and I had to keep it there for about an hour, and that was it. I didn’t get my henna tattoo and neither did the other girls. I have to say I was a little bit disappointed, but it still was an interesting experience. This week was so great, I wish I could do this again and I want to thank my teacher for being so patient and for taking care of us.